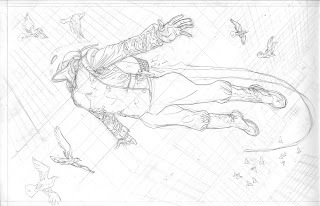 Just posted my ROCKETEER over on Comic Twart, and figured I'd post the pencils here. I'll show more of the process tomorrow. Gotta get to some other work now. I like how you skewed (sp?) the perspective on this one. 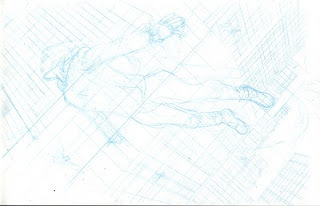 I think it helps bring great movement to the piece in a stagnant panel/page. Something I think Dave S. did well with the character. Wasn't just a straight flying shot. Yeah, that was the trick. I wanted to do something where it would work even if you turned the drawing. I failed, as it only works on two of it's four sides. Dude, you are killing it with these!